Learn about the role that consumer attitudes play in the consumer decision making process. 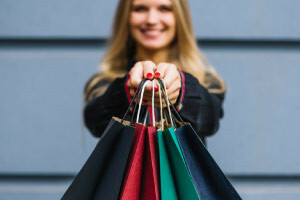 By completing this course, Applied Psychology - Understanding Consumer Attitudes, you will undertsand the importance of observing consumer attitudes for creating effective marketing strategies. Consumer attitudes reflect a consistent favorable or unfavorable feeling that a consumer has after evaluating a product, brand or service. By understanding the dynamics behind consumer attitudes marketers can design marketing strategies that positively influence consumers towards the product, brand or service. The course starts by introducing you to the nature and functions of attitudes in general and how researchers have described four structural models of attitudes. You will learn that attitudes cannot be directly measured so the course then describes the techniques and procedures of accurately measuring consumer attitudes using qualitative and quantitative methods. The formation of attitudes is also discussed as well as the factors which factors influence attitudes enough to change them. You will learn about the two main theories that have been developed to explain how and why attitudes change, and you will learn how marketers can use this information to design marketing strategies that positively influence consumers' attitudes. This course will be of great interest to all marketing and business professionals working in marketing, and all learners who are interested in a career in the area of marketing.